In order to survive the apocalypse, you will need to be able to defend yourself. Once the dust settles, you will need to mount an offensive on the Zombies to take them out as well. Both of these are going to take an assortment of weapons and knowledge of how to use them. If you are looking to start killing Zombies, you will need to keep in mind that they are much slower than you are. This will give you the advantage if you use the right weapons to take advantage of that. Weapons that allow you to strike quickly and then get out of the way will be best for quick attacks. If it also important to note that Zombies typically are going to be found in groups. You will need to have weapons that can be used for killing Zombies from a distance so that you don’t have to fight the whole group up close. Take as many down as you can before they get close if you want to have a fighting change. The old fashion baseball bat is a great weapon for killing zombies if you don’t have anything sharp. It will cause blunt damage to the Zombie and will take a few swings to do the trick, but it will work if you need it. This is great for large groups of Zombies because it will stun them and allow you to move on to the next target. If you don’t have a baseball bat with you, a thick branch will work as the same. Add some barbed wire or nails and you will be killing Zombies in no time! Whether it be a regular mace or a mace with a chain, they can be effective at killing Zombies in a pinch. They are not as effective as a hatchet or knife because they rely on brute force to cause any damage. They will be a little slower than other weapons but each blow will do more damage to make up for it. If you are in need of a weapon and cannot find any, You can build a mace with just about anything. Even if you just take a thick log and wrap some rusty metal or hammer some sharp objects in, it will do the trick. This can be a great tool for you if you have no other options and need to be out killing Zombies. These can be great weapons for killing Zombies if you know how to use them. They can do tons of damage and quickly incapacitate a Zombie with well placed strikes. The right sword in the right hands could be the best weapon available for close hand combat during an apocalypse. That being said, it’s not as easy as it looks to used a sword in a Zombie fight. If you don’t know what you are doing, the sword could get lodged in the Zombie and leave you disarmed and in a world of hurt. Don’t chose a sword for your main weapon if you don’t know how to use it properly. A hatchet is another great weapon for killing Zombies like the knife mentioned above. They can deliver deadly strokes from a close distance fast enough that the Zombie does not have a chance to land a strike. This is going to be the key to getting in and out of a battle alive. Just like knives, most people who fight with a hatchet will fight with one in each hand. Two hatchets will be devastating to a Zombie and can also be thrown from a decent range to take out a Zombie before they get close. A single well-placed hatchet throw will kill a Zombie every time. 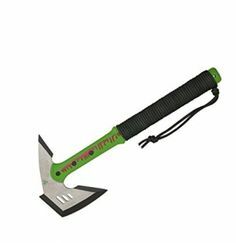 Hatchets can also be used for cutting wood for firewood and shelter when you are not killing Zombies. This makes it another great weapon that can also be used to keep you alive. Knives are great weapons to start out with because they are light, don’t take up much space, and can do plenty of damage. If you are killing Zombies with a knife, you will need to aim for the vital organs and move quickly. Get in a few stabs before they can make a move on you. Most people who yield a knife will use a second knife in the other hand. This will give you a double the amount of fighting damage in the same amount of time. Once you master the art of knife fighting, you can carry a few in your belt and throw them at your enemies to gain some medium ranged damage. The great thing about knives is that they are great for the whole picture of surviving an apocalypse. 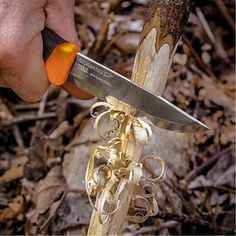 When you are not killing Zombies, you can use the knife for skinning, cutting cordage, and a whole lot more survival activities. They are a great tool to have for both survival and defense. These will be hard to come by during and apocalypse, but they will be well worth it. If you are looking at killing Zombies in huge quantities, grenade are probably your best bet. If you can funnel the Zombies into one area, then a single grenade can kill more than 50 Zombies at once. Keep your eyes out for military stock piles and other places that store explosives. You may want to look for these early because they should be around from the original attempts to stop the Zombies. Bows and crossbows are great long distance weapons for killing Zombies for many reasons. They do plenty of damage and a single shot can take down a Zombie if you are accurate. They are also reasonably fast to reload and very quiet. What makes these one of the best weapons for killing Zombies is that you can recover the arrows after you fire them. You can also make arrows pretty easily if you run out. Many believe that a crossbow will be the ultimate weapon during a Zombie apocalypse. If you are looking to mess up some Zombies in the quickest way possible, guns are going to be the best option. They are great for killing Zombies because they will take them down fast and are quick to reload. A shotgun in great for short range, while an assault rifle is the best for overall use. One downfall to using guns is that they require bullets to fire in order to work. Without a local hunting store, it will be difficult to find more ammunition once you run out. Keep that in mind and use your ammunition sparingly while collecting whatever you can find. Killing Zombies with a gun is pretty loud and will attract the attention of other Zombies in the area. If you are not looking to fight the whole city, then you might want to pick a different weapon. How to Survive a Zombie Attack How to Survive the Apocalypse When The Time Comes What Makes A Good Survival Knife – The Ultimate Cut Would You Survive The Zombie Apocalypse? If I had to survive a Zombie apocalypse, I would be killing Zombies with my survival knives. I have 4 of them packed up and ready to go right now. I’m going to throw the first two, aiming for the eyes, and then dual wield the two biggest so I can cut the zombie to pieces. If I’m in a survival situation, can I eat the meat from the zombies I kill along the way? I know if sounds gross, but it might just save my life! Is it because it wouldn’t attract zombies by the sound? Why would you eat the zombies meat when it has other peoples blood and meat that the zombies ate? I wonder if I end teaming up with? Make sure your knives aren’t serrated or they may get stuck in a zombie. Also, unless you knives are designed specifically as throwing knives, they will be pretty hard to land a blow with, even if you practise tons. Also, cutting the flesh off a zombie does nothing to it. In answer to your question, no, you couldn’t eat flesh infected with the virus. Best weapon in my opinion is a war hammer light, fast, effective and you could duel weird them if you had the skills. if the zombie apocalypse comes,I will be ready. I have so many things in my base ment at least for six people. This is what you’ll need…..
People think zombie apocalypse is dum but when it happens there gonna be sorry for doubting it. I’m just waiting for it. If it does come be safe britanica. If a zombie apocalypse happened the first thing I would do is find an isolated place (like a cabin in the woods or on a mountain) get a crap load of food and water.Then I would hurry and go to a gun store with a big duffle bag and stock up on guns and ammo.Get a lot of melee weapons (including a ton of knife and hatchets) find medical equipment and try to find at least two other people (ones who are not trying to kill me and one who is a woman,it will be up to us to repopulate, though having a pregnant woman might not be a good idea. )And finally I will build defenses around the shelter I talked about earlier and try to survive as long as I could.Oh and get fire wood and sticks (who knows,might come in handy). Suppressed mp-5 in .45 acp. 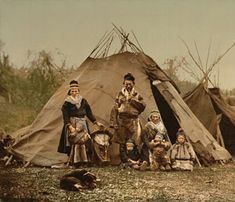 Relocate to a location with winters in the negatives and a geography that is defensible and harvest able meat. This list is garbage, unless you’re ranking weapons based on cool factor and not on effectiveness in a long-term survival situation. I’m given to wonder if the author has ever even used half of the weapons listed here. Guns are horrible long term weapons for a zombie apocalypse scenario. They may be effective, but you’re going to run out of ammunition eventually. The need to conserve ammunition makes them a #2 choice at best (second to any melee weapon you’d have on hand), so why would they be #1 on anyone’s list? Then there is the misinformation. I don’t care what kind of confined spaces you manage to work a herd of zombies into, you are not going to kill 50 zombies with a single grenade unless you use the explosion to ignite the fumes near a gasoline tank or something. Not to mention the fact that grenades will not be readily available in any scenario unless you get lucky and find an open ammo bunker. How many of those do you think you’ll be able to find? Grenades shouldn’t even be on this list, let alone at the #3 slot. Crossbows fall into the trap of only being able to target a single zombie before requiring a reload, and you aren’t going to be able to reload one if you happen to be running from multiple targets. Aside from that, what are you going to do when you run out of ammunition? Given these limitations, placing them at #2 on a list like this is as laughable as placing guns at #1. They wouldn’t even be viable as a weapon unless you’re firing from a fortified defensive position or a tower, where the targets can’t reach you while you reload. You’ve given a lot of thought towards this. What would be your choice weapon if including what you have open to your disposal at home? I agree with Andrew the writer just put the coolest weapons not the most effective. Although depending on the situation you would be able to find a grenade possibly from a fallen solider who was out fighting the infection but it is risky to find and get a grenade with out being bit. Now the problem with the gun is that it will be to loud not only attracting zombies but also over time will cause you to lose your hearing, and of course ammo will be always short and you will run out eventually. I agree with you. There are other reasons why guns wouldn’t be the best weapon besides the need for ammunition. The first reason is because the sound of a gunshot would attract nearby zombies. The second reason is because there effectiveness depends entirely on your accuracy. If your aim is bad, they’re basically useless. The third and final reason is because they require too much maintenance. They need to be cleaned and maintained on a regular basis, which is not something you want to worry about during the zombie apocalypse. It would be nice to add some specifics like the type of gun you would use and depending on the place to also choose the right gun for a good amount of ammo. Another thing that would help is to include spears, longer weapons mean less chance of getting bit. 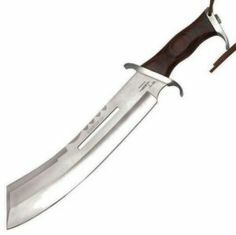 I am going to have a knife, a tomahawk, an axe, and a variety of guns and knives, but I think that machetes and larger knives are best against zombies for several reasons. The longer, wider blades allow you to quickly chop, slash and slice whereas a knife requires getting close and touching the infected, rotting corpses with your hands. Now that I mention it, gloves are essential to avoid all the gross flesh and fluids. You want to be able to swing and hit. It’s possible with a wide axe or “hawk”, but chances are the heads may get stuck and move sluggishly thru a zombies body. I’d use them in pairs and select a style that allows blocking and hooking to be able to push, pull or spin the undead to prevent being bitten or grabbed and to set them up for a coup de grace whack to the head. Now along the same line of thinking, a would choose a spear with a large sized blade or a naginata that can slash a zombie apart. You also have the pole itself to use against them. A long weapon works best out in the open, but is also good to dispatch zombies inside a hallway or if you create a funnel with cars, tires, large metal dumptsters, piles of cabinets, pallets of merchandise, whatever, you can deal with them one at a time as they attempt to squeeze thru. And if they do, then you go to your shorter weapons. 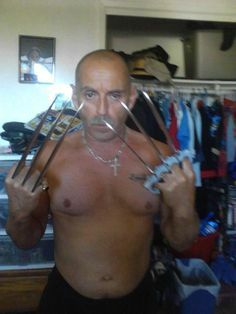 The only knifes I would ever use are throwing knifes. Any other knife would have to be close range and I personally would not want to get that close to a zombie. I do not think that a gun would be amazing either unless there was a silencer because then it would just draw more zombies in.